Besito Mexican is one of the many new restaurants that's opened in Chestnut Hill, Massachusetts over the past year. I've been looking forward to trying it and I just got my chance! 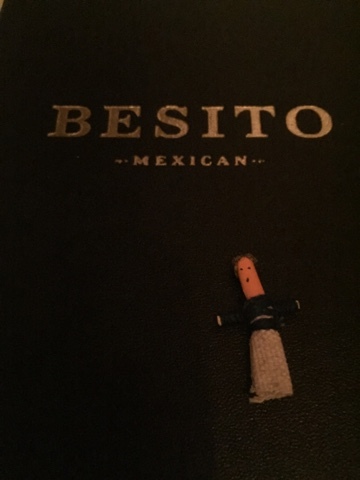 Besito has an extensive drink menu. 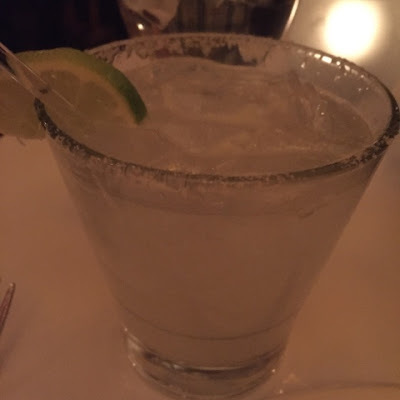 I enjoyed their classic margarita. 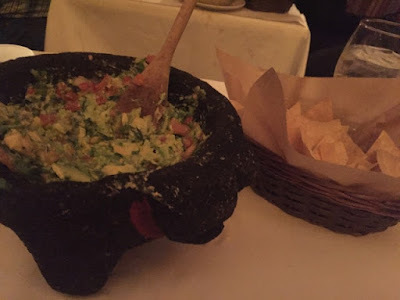 Every meal comes with warm tortilla chips and salsa, but kick it up a notch by ordering their guacamole. Your server will make it fresh for you tableside in a traditional molcajete. It's so fresh and so good. 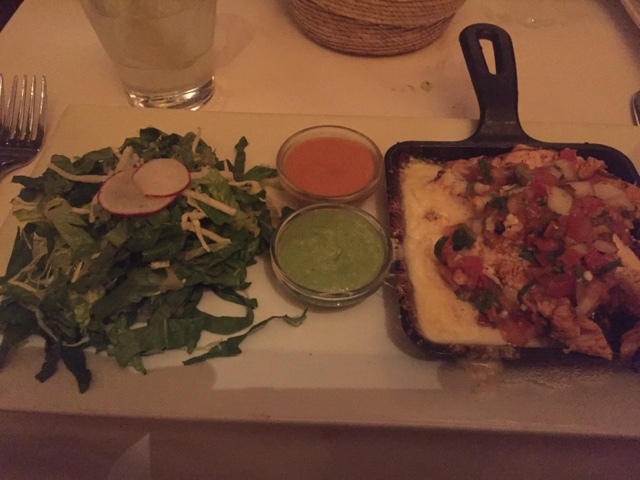 Meals include traditional Mexican fare such as iron skillet tacos and enchiladas. There are also larger meals (Platos Fuertes) like salmon, filet mignon and skewers of shrimp and steak. There are also plenty of vegetarian options. I ordered the pollo (chicken) tacos. The chicken and melted cheese are presented on a hot iron skillet. Make as many tacos as you want with their unlimited tortillas. I was able to make a half dozen for myself. The meals also come with rice and black beans for the table. Our server gave us a complimentary bag of warm churros to take home with us for dessert. They were amazing. Diners also get a small worry doll. Tell the doll all of your troubles before placing it under your pillow and you'll have a sound sleep. Eat Up New England loves Besito Mexican. The food is a fresh as it gets, and touches like the churros and worry dolls made this meal extra special. Besito is located in the Mall in Chestnut Hill. They have another Massachusetts location in Burlington, along with a restaurant in West Hartford, Connecticut. I want a worry doll, too! !